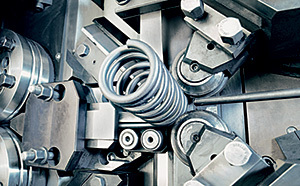 Department dedicated to the construction of springs for excellence: Compression springs (cylindrical, conical and biconical), compression spirals, flexible spring sheaths by wire and strip, normalized springs, etc. 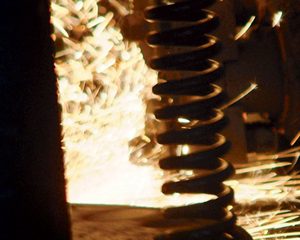 The department is made up of winding machines of the latest generation that ensure a quality product. The key issue is the precision of the mechanical part that allows us not to have space movements on winding equipments and produce springs with tight tolerances. 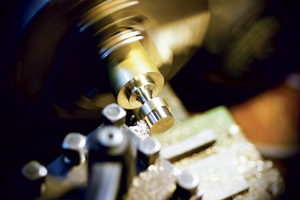 Important are the controls on the machine performed by cameras and sensors that allow the correction in real-time production. 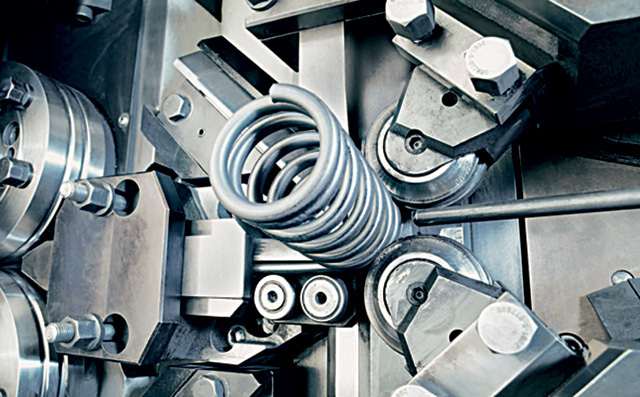 Manufactures a wide range of components: Torsion springs single and double, traction springs, special shaped wire, fasteners, wire pins, hooks, brackets, constant force springs, and much more. The department consists of modern machines that allow numerous actions and movements in any position on the wire. 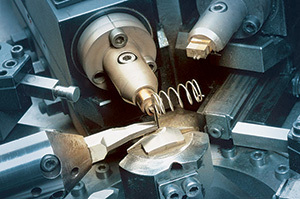 These machines are flanked by laser checks that verify the correct execution of bending and the opening of the windings, correcting the parameters that deviate from the center of tolerance. Here are produced small metal parts: strip springs, smooth and shaped washers for bolts, spacers and open bushes, accessories for drywall, relays for self-tapping screws, brackets Parker screws, hooks and more. 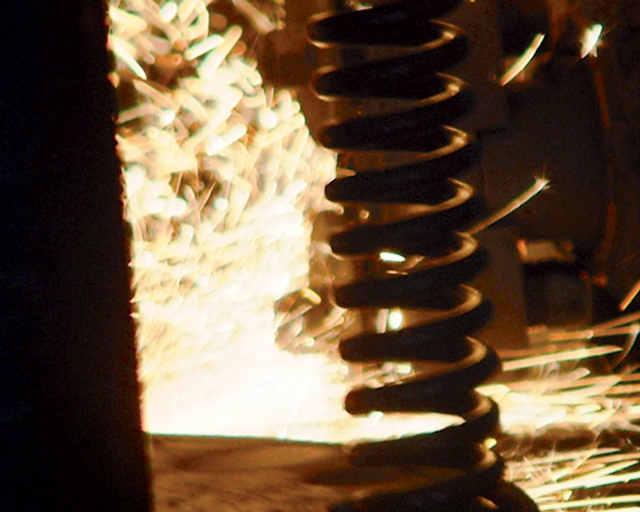 here are grinding machines which allow the flattening of the end turns of the compression springs. 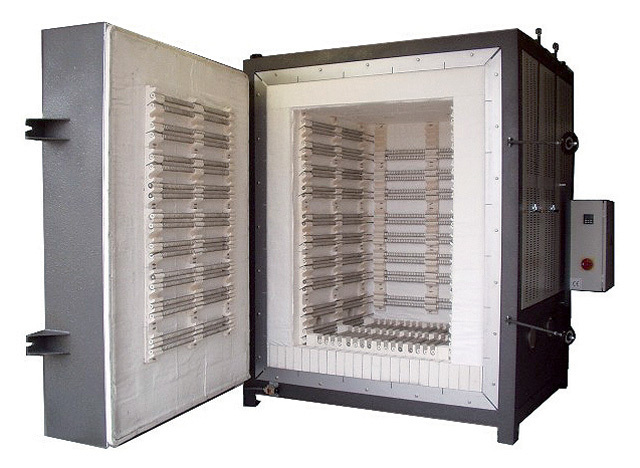 To ensure the steel has certain characteristics in function of its final use heat treatment is used, such as quenching, heat normalization, annealing non ferrous materials, stabilization and dehydrogenation. 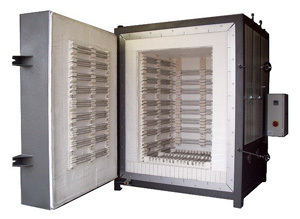 There fore through the use of the latest generation of special ovens, the springs are subjected to one or more thermal cycles, that is, to change, within certain limits, the temperature in function of time. repairing of tools. Thanks to its technical staff and to productive resources available it is able to design and manufacture equipment for molding, control gauges and welding masks.